Gift ideas are always hard to come by, particularly when it comes to Christmas, birthdays, anniversaries and so on. Well we have some great gift ideas for you! Puzzles For You On Your Birthday - Personalised! 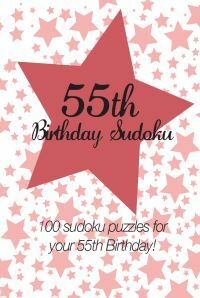 Why not get a puzzle-lover a perfect anniversary gift - a book of anniversary sudoku puzzles with the number of your anniversary celebration in it! 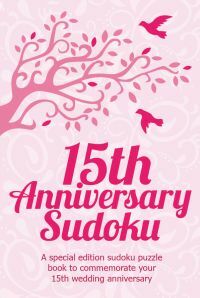 Click for more information on Anniversary Sudoku puzzles. We have a range of iconic anniversary numbers celebrated in this series. However, if you need a book for an anniversary number we don't have, just click 'contact us' and let us know! What to buy someone for their birthday? Gift ideas that are meaningful can be tricky to come by. Well, how about buying them a book of sudoku puzzles that celebrates their reaching that specific age, particularly if it is a milestone year such as 40, 50, 60, 70 or 80: why not show your thoughtfulness by buying them a book of sudoku that contains their age as part of the puzzle, not just as a gimmick - we have a large range of birthday sudoku gift books available for you to buy - need a year we don't have at present? No problem - just contact us and we'll make it for you! A perfect gift idea for a child at Christmas or for their birthday - a book of personalised puzzles! 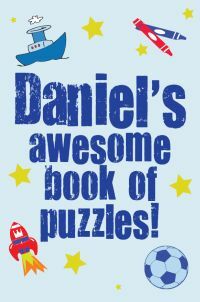 These books are specific to each name, and contain 100 fun kids puzzles, including 20 themed puzzles containing the name on the cover - for instance if you buy Daniel's Book of Puzzles, there will be 20 Daniel-themed puzzles in the book; likewise if you buy Charlotte's book there will be 20 Charlotte themed puzzles and so on - these make fantastic Christmas and Birthday gifts - read about our personalised puzzle gift books for more details - as ever, need a name we don't currently stock? Just let us know and we'll create it for you! Stuck for a gift for your Gramps or Folks, even Papi, Mamey and Godfather- we have them all! Search our huge collection at Family Puzzle Book to find your relative's name and as always, if we don't have it, just contact us! Graduation, Retirement & Confirmation's can be tricky occasions to buy gift's for. We have a great puzzle book that is sure to suit your chosen event. Have a look here to find yours!